​Everton welcomed former Arsenal shareholder Farhad Moshiri to Goodison Park in February 2016, brining a wave of much needed new investment to the blue half of Merseyside after the Iranian-British businessman secured an initial 49.9% stake in the Toffees. 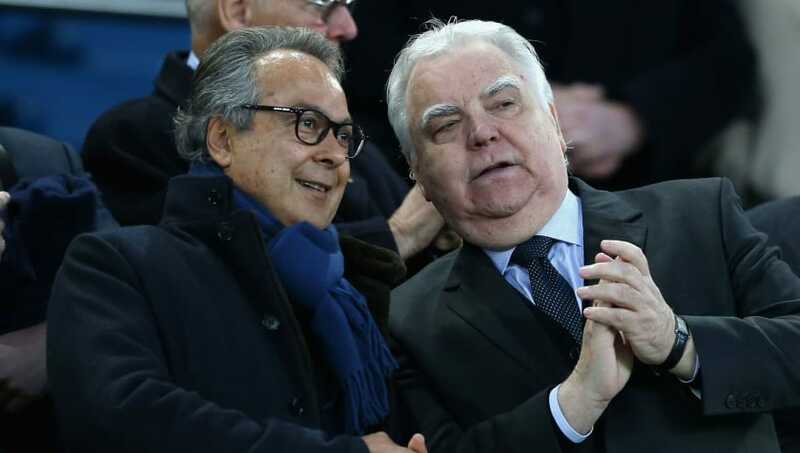 Since making a first big statement in the transfer market of 2016, Moshiri's influence has seen Everton spend just shy of £350m on new players, a huge amount for a club so used to overachieving on a shoestring budget when Bill Kenwright and David Moyes were in charge. The Moshiri era began when more than £70m was spent before and during the 2016/17 season to bring in the likes of Ashley Williams, Idrissa Gueye and Morgan Schneiderlin. Everton spent well over double that in 2017/18, breaking their club record to sign Gylfi Sigurdsson from Swansea, as well as adding Jordan Pickford, Michael Keane and Davy Klaassen for a combined fee of just under £75m. Last January then brought acquisitions of Theo Walcott and Cenk Tosun for £47m. Having paid a surprising £40m to Watford for Richarlison, a player whose bright start to the 2017/18 Premier League season fell off a cliff in the second half of the campaign, Everton spent £18m on backup Barcelona left-back Lucas Digne. On deadline day itself, former Shakhtar Donestk playmaker Bernard arrived as a free agent in a smart piece of business was followed by a £28.5 outlay on centre-back Yerry Mina, a player who played sparsely for Barcelona last season and whose price tag was the result of World Cup hype. Andre Gomes also arrived from Camp Nou on loan. Everton may have spent a lot of money since Moshiri joined the board and brought a fresh outlook, but the club's scatter graph recruitment approach is yet to yield positive results. Certainly, buying players Barcelona considered deadwood for inflated prices and loaning another isn't great business - as good as Barça are, deadwood is still deadwood. If anything, the Tofffees have kidded people that throwing money at the transfer window is the same as conducting smart and intelligent recruitment. In the two full seasons since he bought his stake, Everton have finished seventh and eighth, objectively speaking, are worse compared to the rest of the Premier League than they were during the heavily budgeted era of Kenwright and Moyes. To add some perspective, a tally of 49 points last season was only two better than 2015/16 when Roberto Martinez was sacked. That was the last campaign before Moshiri's impact could be felt and yet £350m later, an average spend of £70m per transfer window, Everton still haven't added enough quality with enough of a direction to actuabe any better off.